Serving the community through service! Junior Civitan is a community service organization for students. Junior Civitan members seek to meet the needs of our world and promote progress in a world of change. You can be a part of our local Junior Civitan club's commitment to making a difference. Junior Civitan's purpose is to provide all of our members with personal and career development opportunities while improving schools and communities through volunteer service. 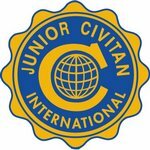 Established in 1932, Junior Civitan is a program of Civitan International. Junior Civitan has 12,000 members in nearly 400 clubs. There are Junior Civitan clubs in North America, Europe, Asia, and Africa. You'll enjoy many enriching experiences where you are giving back to the community through fun-filled activities with special needs citizen's. You'll receive Junior Civitan's Insider Magazine, which reviews international events and local club projects. You will have access to online shopping, message boards, advocacy opportunities, and email at Junior Civitan Online. In addition to club and district activities, Junior Civitans have the chance to attend several annual international events; these events let members meet other Junior Civitans, have fun, and raise money. Sno-Do is a snowmobile marathon held yearly in the beautiful icy wilderness of Ontario, Canada. Dance-A-Thon is a themed dance marathon, also held yearly in Canada. At the annual convention, Junior Civitans come together from across the U.S. and around the world for an international celebration. Every member helps to choose which projects and programs their club will support, and there are many leadership opporunities at the local level. District and international leadership positions allow members to travel, attend special events, and develop crucial leadership skills important in college and future careers. The Civitan Shropshire Scholarship is available to qualifying members as a source of financial aid for college. Each year, thousands of dollars are awarded to deserving Junior Civitans. Members, clubs and districts are recognized each year for outstanding leadership, projects, and activities. These prestigious awards are presented at annual district and international conventions to honor the achievements of our best and brightest Junior Civitans. I am a Junior Civitan: An aware citizen of today, The standing promise of tomorrow. I seek to meet the needs of our world, To be progressive in a world of change With compassion and understanding for The values and traditions of the past. I value the security of knowing That wherever I am I will always be within reach Of a fellow Civitan. I dedicate myself To society and to my fellow man With a commitment To make the world a better place!